Brand: Autumn Carpenter Designs AC-SSTSC Units: 1 This silicone mat can be used in a number of ways with a variety of mediums. Use them with melted and tempered chocolate or melted candy coating to create perfect disks for truffle sandwiches, mints or decorations for cakes, candies and cookies. Ideal to use with chocolate transfer sheets. Silicone is heat safe and great to use to make hard candy tiles. 42 cavities. Each cavity is 1 1/4". This silicone mat can be used in a number of ways with a variety of mediums. 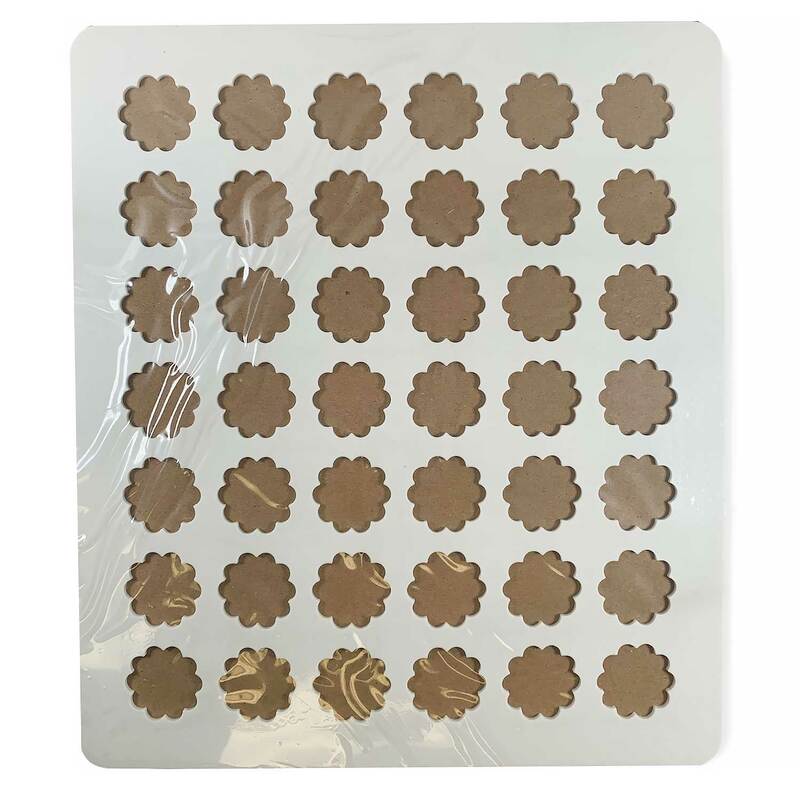 Use them with melted and tempered chocolate or melted candy coating to create perfect disks for truffle sandwiches, mints or decorations for cakes, candies and cookies. Ideal to use with chocolate transfer sheets. Silicone is heat safe and great to use to make hard candy tiles. 42 cavities. Each cavity is 1 1/4".